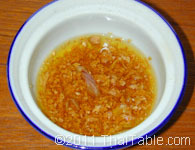 Fried garlic is a must in noodles soup and other soups. It adds the zing and aroma to soups. 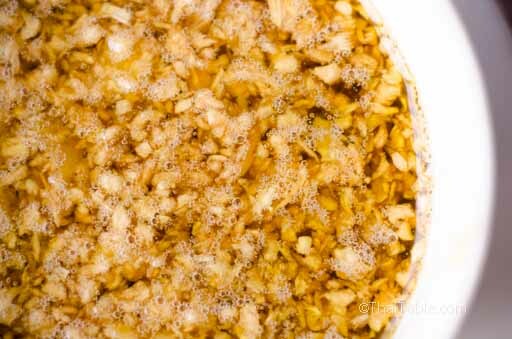 Traditionally, fried garlic is made in a pan, however, this is far less convenient and more time consuming than using a microwave when making the quantities you normally use in the home kitchen. I use olive oil with recipe with a great success. Press the garlic with garlic press into a small, microwavable bowl. The bowl should be large enough to prevent overspilling. If you don't have a garlic press, mince the garlic with a knife instead. 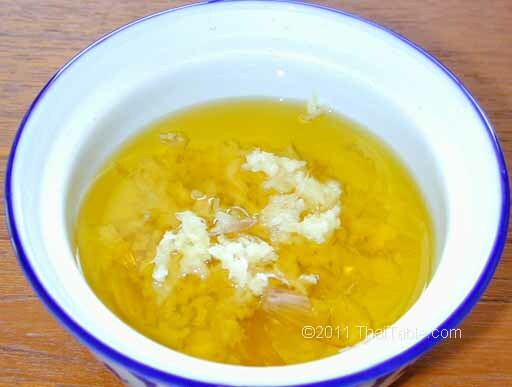 Add 2 tablespoons of oil or just enough to cover the garlic. Microwave for 30 seconds -- depending on your microwave, it may take between 30 seconds and 2 minutes. When you first make this, stop the microwave every 30 seconds and check to see if it's ready. Keep in mind that it will continue to cook in the hot oil after it is taken out of the microwave. The goal is to have the golden color. 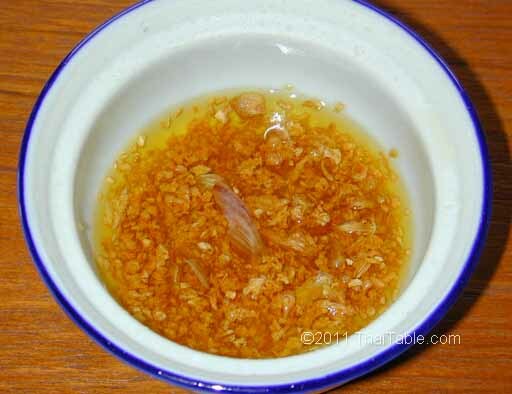 Fried garlic keeps for a week.